Posted on October 22, 2013 by M.E. I’m sure everyone tuned in to the ‘CrazySexyCool: The TLC Story” tonight. I must say it was better than expected and depicted some very real events that happened during TLC’s tenure. A few events happened where Left Eye started to venture off in to more of a solo lane, and distanced herself from the group. One time in particular is when she appeared on “106 & Park” with Suge Knight and Kurupt under the moniker NINA, and appeared strange and in “another space” during the interview. A few months after her appearance she was killed in a car crash in Honduras. 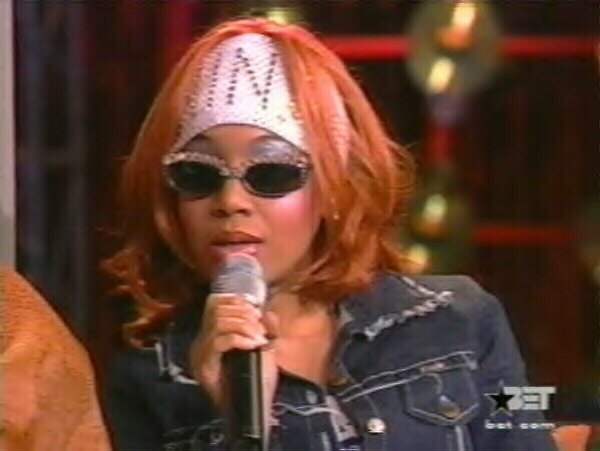 R.I.P Left Eye, you definitely was free-spirited individual. Check out another clip from the GRAMMY’s when TLC exposed that they were broke.